Pano2VR version 5.0 was released in February 2016. The latest version provides a fresh new interface that simplifies the process of creating great immersive content. After about 6 weeks of use I wanted to share my thoughts. Version 5 comes with a much needed facelift. Gone is the gray dated almost dialog box looking interface. The new interface is sleek with a flat icon style look. It’s fresh and clean. Some options have moved around but the transition from version 4 to version 5 was not that difficult. The nicest change to the interface is the large interactive preview window that lets you see exactly how the spherical panorama will look in its final form. This is a great improvement over the previous version. While there isn’t enough room to go over all of the features in this short review I think it is worth mentioning a few of the more useful tools. My favorite feature was the patching tool which allows for quick and painless removal of my tripod from my spherical panorama. Just drop a point on you panorama where you’d like to insert a patch and click the extract button. If you are a Photoshop user the extract button will open up Adobe Photoshop with the selected portion of the panorama to patch. A few quick swipes with the clone tool can remove any unwanted features like a tripod at the nadir point. Save the file, and Pano2VR takes care of the rest. The simplicity and speed of the patching feature were well thought out. 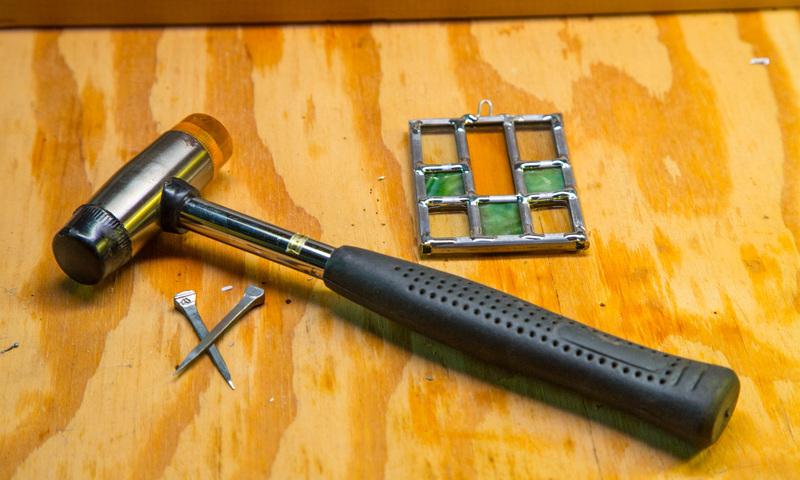 It does exactly what you need efficiently and quickly. Hotspots can be used build in an interactive experience. The most useful way to approach hotspots is to use them to link out to other content. Link to web pages, other panoramas or anything you’ve got a link to. Hotspots can also be used to display information. The experience is similar to a tool tip. Any time a user mouses over a hotspot a small piece of information can be shared. From my own experience I liked using the polygon hotspots to display information. 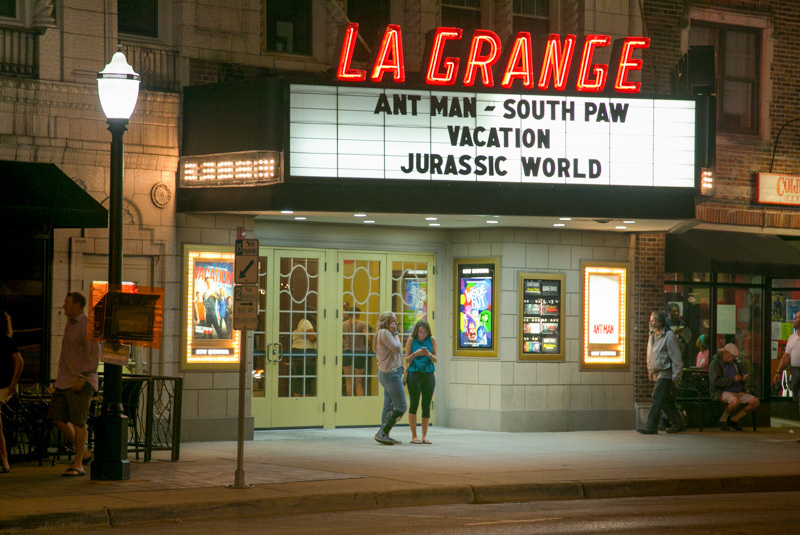 A good example can be found in an interactive VR experience I built for the La Grange Historical Society at the bottom of the page here. The standard version doesn’t offer an integrated tour building interface like the more expensive pro version. However, I was able to build a nice virtual tour linking together several spherical panoramas using point hotspots. Without the tour interface you’ll have to plan out how your content will link together. If you’ll be in the business of building tours you may want to opt for the pro version to save you time. If you’ll only be building a few tours you can save a couple of bucks and try to hack together a tour on your own. To see an example of a tour built with the standard version check out this demo house tour I built. This tour was built using point hotspots for navigation. It also incorporates a few embedded images for virtual signs using the image tool mentioned earlier. As an avid blogger and WordPress guy, I was hoping the WordPress integration would be simple. I was not disappointed. In the past I have used command line based tools like Krpano to build HTML files for use with WordPress. It was clunky and painful. Pano2VR coupled with its free WordPress plugin make embedding a high quality 360 panorama into your website simple. What I love about the Pano2VR approach is that the software will export a compressed file that contains all the required 360 panorama data. Once the required plugin is installed these compressed packages can be uploaded directly to the WordPress media library. To insert a panorama into a page, just open your media library as if inserting any image into a post and select the panorama to drop into your post. Simple, fast, and effective. The process is well thought out and well executed. 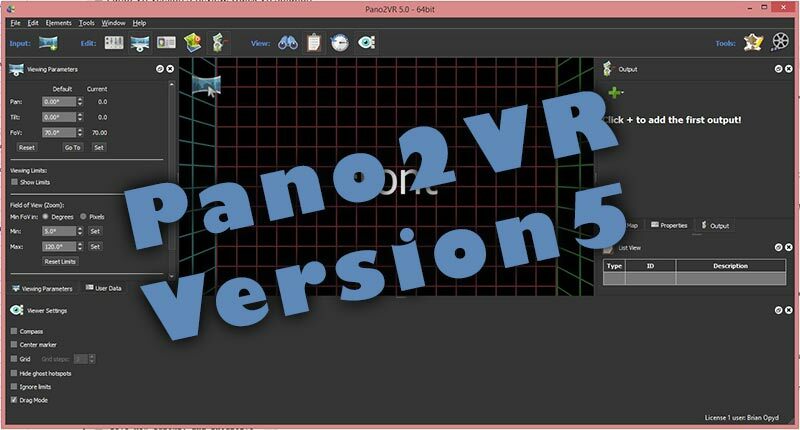 Pano2VR now provides an export template to work with a Google Cardboard viewer. The option allows for an HTML export of two side by side 360 degree images. The output HTML page can them be loaded on any web browser on your phone and viewed while you phone is in a Google cardboard viewer. For my tests I used a Google cardboard Viewmaster viewer that I picked up for about 30 dollars. Using the viewer together with my Samsumg s4 I was able to test the HTML 5 cardboard implementation. Although the output HTML is supposed to used the gyroscope of the phone to allow for an imersive VR experience I found that the HTML response was not great. Often times the images viewed through the browser would list, or rotate without warning. Motion was jerk and unstable. To check that this was not an issue with my phone I also tested the demos provided within the Google cardboard app as well as the same test images loaded as Spherical panoramas that were my input to Pano2VR. These worked flawlessly, so I have to believe the problem lies in the way the HTML and script are implemented. If you are into creating VR content from still images Pano2VR from Garden Gnome Software is a great tool to add to your collection. If you are even the least bit interested check out their free trial download. If you are looking to build out some VR content the 99 euro cost is inline with similar software packages. You’ll definately get you monies worth. It’s a great tool and I’m glad to have it installed. This entry was posted in Software Review. I started working with Pano2VR. I read your blog and it was very informative for me. There is one big problem I can´t figure out. I created a tour, but I am not able to view it in my google cardboard. Can you tell me the steps you did to make this work?